If you follow me on Instagram you know that I love flea markets. 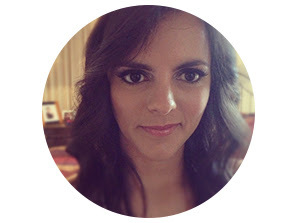 I'm always in the search of "treasures" that will give our home a unique look. Whenever I go to a flea market, I like to have a list of things to be on the look out for. That way you have sort of a mission and won't be as overwhelmed by the amount of stuff that you can encounter at these places. With that said, here is a list of the things I have been in the look out for lately. One of my goals this summer is to proof to my husband that I can keep our plants alive. My track record in that department hasn't been the greatest. So I have purchased a bunch of plants and would like to find cool pots to put them in. They could be rusty watering cans, food cans with neat labels, vases, metal containers... You name it. 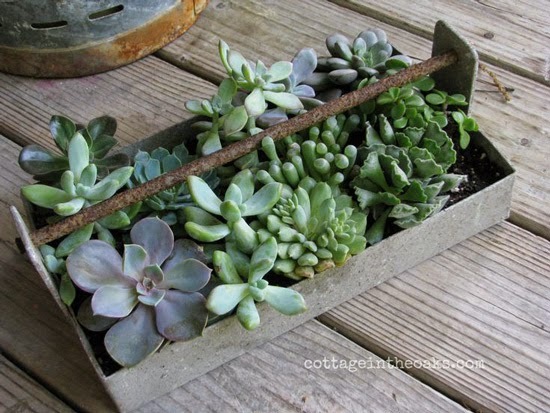 Part of the fun is using your imagination and trying to figure out what you can convert into a pot. 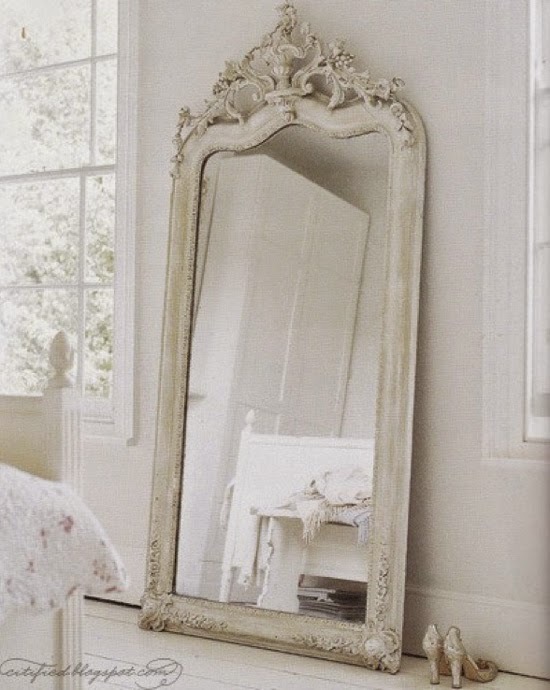 I am obsessed with antique mirrors of any size. I don't discriminate. The mirrors I'm looking for need to have a nice design that is delicate and unique at the same time. I don't want any cookie cutter mirror. I can go buy one of those at West Elm. The goal is to collect a good amount of small mix matched plates. Every time I have seen this done on blogs I read or on Pinterest, it just looks so pretty and effortlessly put together. 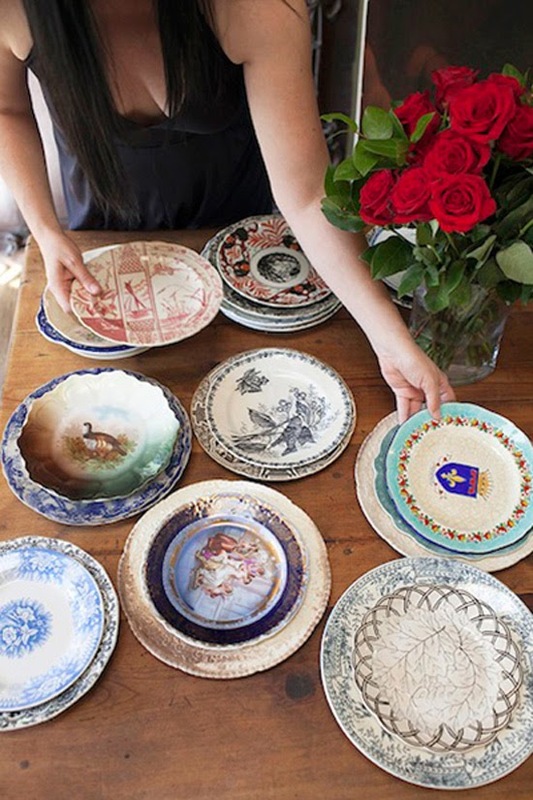 I'm looking for vintage plates that have a pretty floral design or a unique design that will make for a great conversation piece. 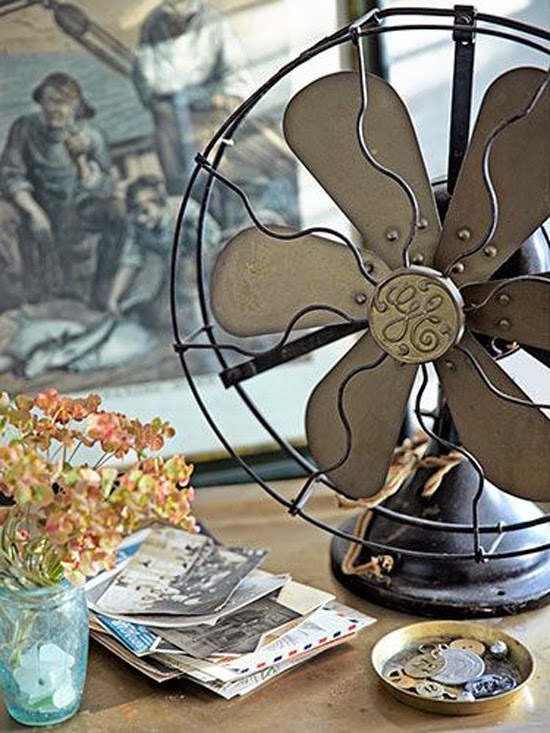 For some reason, I have been obsessed lately with vintage fans. I thing they are so pretty and simply designed. I'm always in the lookout for big picture frames that I can incorporate into my gallery wall or convert it into a chalkboard. 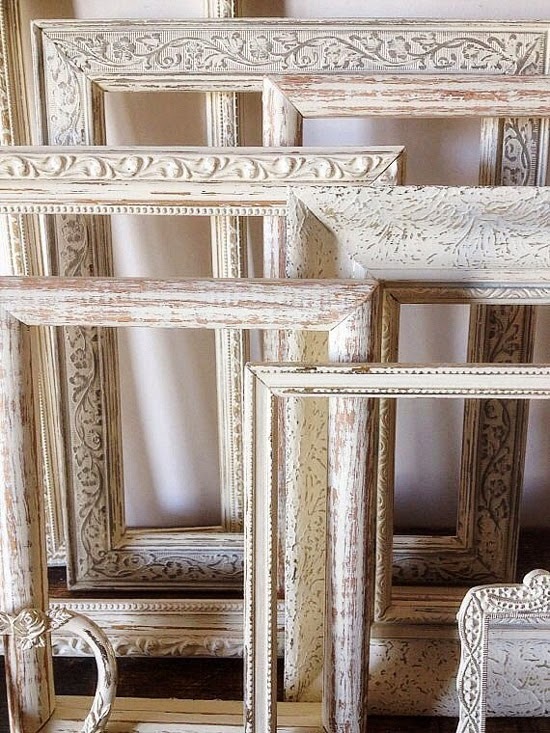 You can also add chicken wire to a frame and convert it into a jewelry frame. Lots of possibilities with these. Very soon, I'll share with you guys some of my latest finds. Pumped? I know you are.